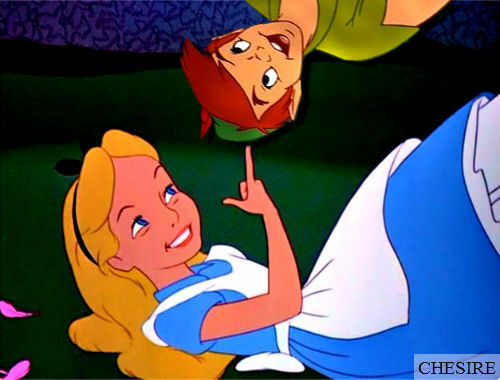 Alice/Peter Pan. . Wallpaper and background images in the डिज़्नी क्रॉसोवर club tagged: disney crossover alice peter pan. Lol this is cute. Personally, my favorite Alice pairing is her and Christopher Robin.